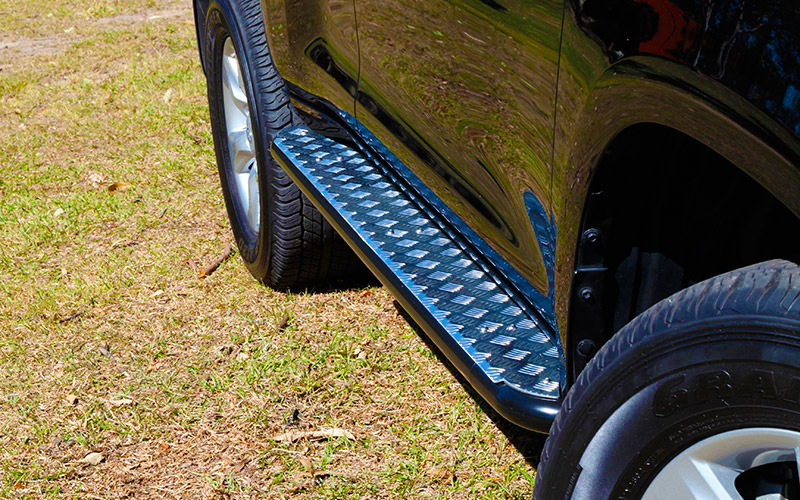 TJM side steps are an excellent addition to any 4WD, they provide protection and also a sturdy platform for getting yourself and the kids up and into or out of the car. Offering excellent wheel arch, flare, sill and panel protection from rocks, road debris and sideswiping roo’s is just the first step. When fitting the side bars to your steel bull bar they’ll increase the strength of the outer loops substantially. TJM’s modular sidebars and steps are unique amongst the pack because we offer the ability to fit the sidestep first on it’s own and then if you wish, you can fit the sidebars later for unrivaled protection. 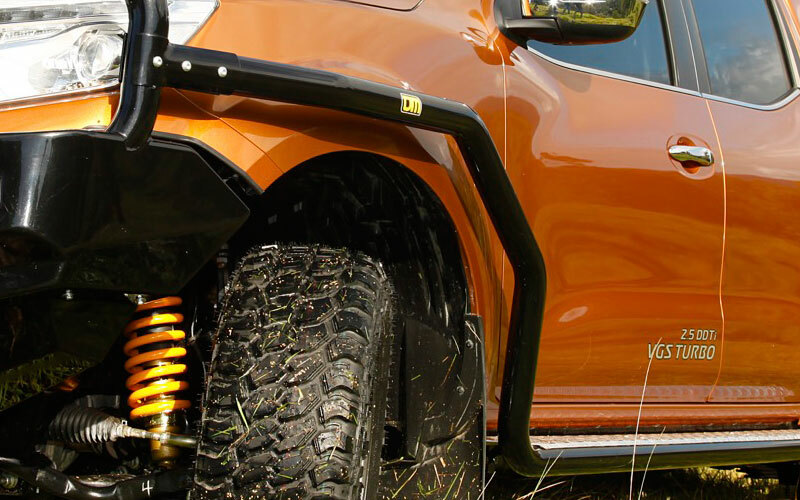 Features include 50-63mm steel tubing, an all new side airbag compatible mounting system, wheel arch/flare/sill/panel protection, checker plate tred, designed and tested by TJM engineers, you can be assured that these side bars & steps deliver unsurpassed safety and strength for all environments.